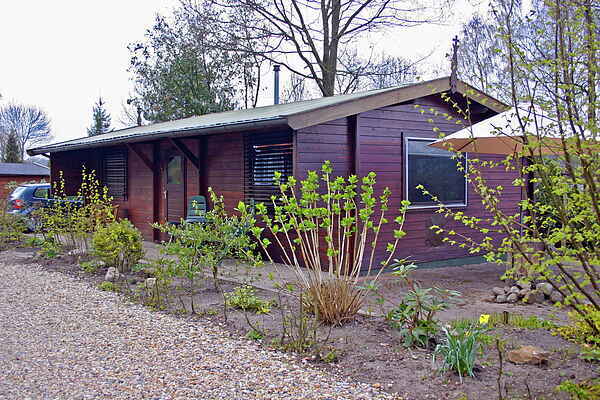 The accommodations on Chalet Park Kuiperberg are well maintained and located on spacious plots. You have the choice of two different 2 person types. The Libelle (NL-7631-02) has a charming terrace. Type Clausheide (NL-7631-03) has plenty of living space. Montmartre (NL-7631-04) is a French style accommodation with a lot of privacy. The Andalusia (NL-7631-05) has a fantastic view. The Clausheide can also be booked in a 4 person variation (NL-7631-06). The 2 extra beds (foldable beds) are set up in the living room or bedroom. All accommodations are located on spacious plots with one or more terraces and garden furniture.